For the ninth year in a row, I am publishing an account of my top 10 best and worst sports moments of the past year. Scroll through the blog archives if you want to see the previous editions. This year I’m adding photographs to help illustrate the most compelling moments of my sports year. Keep in mind that these are given from a purely subjective viewpoint. When I say “best/worst moments” I’m not talking about great or horrible sporting events. I’m talking about moments that affected me the most positively or negatively. Overall, this was an average year in sports for me featuring several great moments to start the year followed by a largely disappointing fall. Without further ado, here are my best and worst sports moments for the year 2017. 1. New England Patriots complete epic Super Bowl comeback over Atlanta (February 5, 2017)– The Patriots are the only true powerhouse I cheer for in professional sports. I have been a fan since the franchise was a perennial doormat in the early 1990s and have stood by their side through their meteoric rise to become the most successful team in the history of the league. If the Pats had merely won last February’s Super Bowl in ordinary fashion, their championship would be on this list but probably wouldn’t take the top spot given how common their Super Bowl victories have become. However, given the truly astonishing way this squad clawed back from a 28-3 hole in the final 20 minutes of the game to win the first-ever Super Bowl to go into overtime, this moment has to take the top spot for the year. 2. South Carolina basketball upsets Florida to make first-ever Final Four appearance (March 26, 2017)- This will be the first of several South Carolina basketball entries as the Gamecocks took myself and the rest of the fan base on a magical carpet ride to last year’s Final Four. 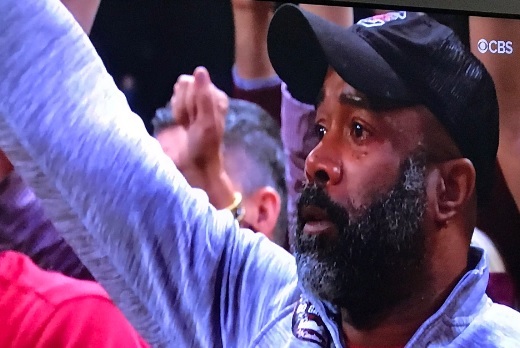 The best moment on that ride had to be the final victory over Florida that brought Darius Rucker to tears in Madison Square Garden. 3. South Carolina basketball shocks Duke in second round of NCAA Tournament (March 19, 2017)- My # 2 moment above was the climax of South Carolina’s shocking NCAA tourney run, and my # 3 moment was the biggest upset in that run. 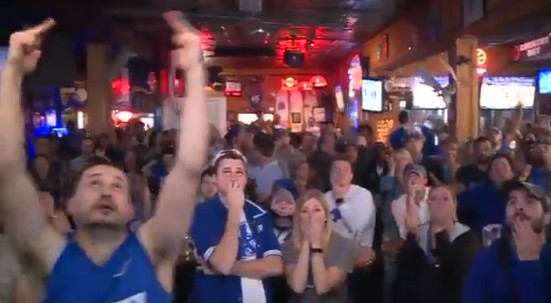 Thanks to North Carolina’s controversial HB-2 bill the NCAA moved the first and second round of the tourney from Greensboro, NC to Greenville, SC giving South Carolina a rare home court advantage over Duke. They used that energy to knock off the Blue Devils by playing a tremendous defensive game and an incredible offense second half. As a world-renowned Duke hater, this victory carried even greater significance than it otherwise would. 4. Houston Astros win first World Series (November 1, 2017)- I have never been a huge Astros fan, but my dad and Uncle both are lifelong diehards, and this year’s squad was an extremely likable bunch. 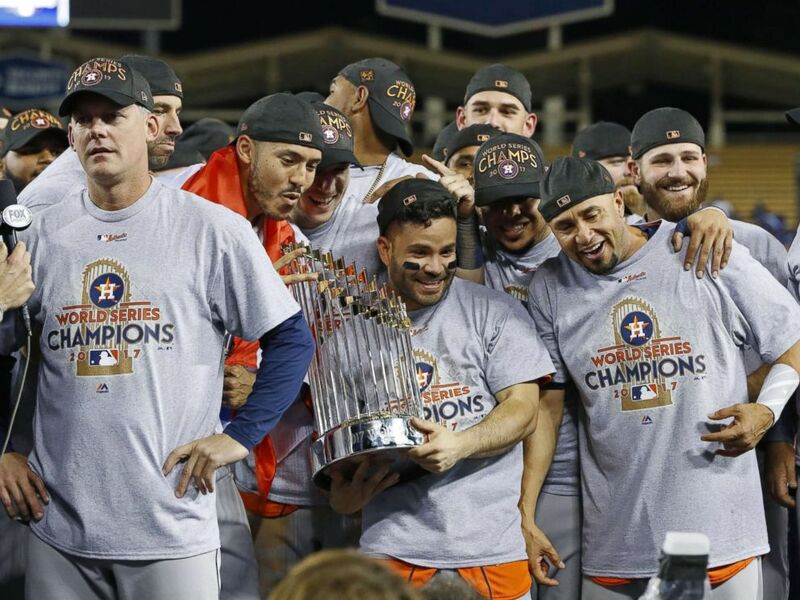 It was particularly fun to see the Astros capture the title in the dramatic fashion that they did by winning two of the greatest baseball games ever played in World Series Games 2 and 5. This also marks the third year in a row that the World Series ended up in the top 6 of my best sports moments of the year. Here’s hoping that the streak will continue in 2018 and the Expos/Nationals franchise take home their first title. In a fall that was otherwise full of disappointment, the Astros championship stood out as the bright spot of the season. 5. South Carolina women win school’s first-ever basketball national championship (April 2, 2017)- I am admittedly not a huge women’s basketball fan, but I have followed the sport a lot more the past few seasons because of the success of South Carolina’s program under Dawn Staley. They have been on doorstep of a title for several years now, but no one thought they could take it this year with mighty UConn standing in the way. However, thanks to a monumental, buzzer-beating upset by Mississippi State in the Final Four, South Carolina was left playing the Bulldogs for the championship, a team it had already defeated twice earlier in the year, instead of the mighty Huskies from Connecticut. Before South Carolina played its men’s final four game, I asked my dad whether he’d rather (a) have both squads get to the finals and lose or (b) have the men’s team lose to Gonzaga and the women were win it all. Without hesitation, he said he’d rather take the women’s championship. He got his wish as the latter of the two options came to fruition. 6. South Carolina basketball win first NCAA tournament game since 1973 (March 17, 2017)- Moments # 2 and 3 on this list were the highlights of South Carolina’s miraculous final four run but a run can’t start without an initial victory. Few will remember that the Gamecocks entered this NCAA Tournament without having won a single game in the Big Dance since 1973. In fact, most of South Carolina fans, myself and my father included, just wanted to see the Gamecocks end this epic drought and knock off Marquette in the first round. That’s exactly what they did when they beat the Golden Eagles by 20 points in their tourney opener. This squad that limped into the tournament all of a sudden was playing free and loose ready to begin a run no one in the Palmetto State will ever forget. 7. Sergio Garcia wins first major championship at the Masters (April 9, 2017)- I have never been a huge Sergio fan, but I’ve always found him to be a likable character that deserved to win a major championship. Sure enough, he finally broke through in this year’s Master’s by claiming a come from behind victory in a sudden death playoff over Justin Rose. Rose has always been one of my favorite players on tour, but I found myself cheering for Sergio to beat him given Garcia’s nearly two decades of major championship futility. 8. 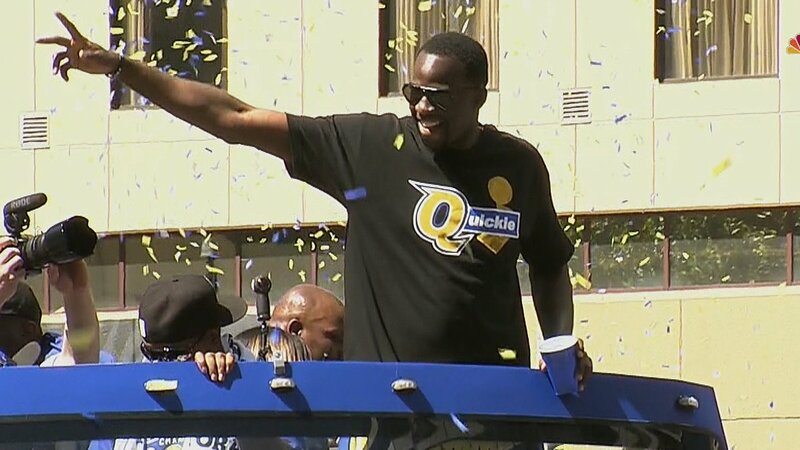 Golden State Warriors win NBA championship over Cleveland Cavaliers (June 12, 2017)- The Warriors have been one of my favorite teams in the league ever since they drafted Steph Curry in 2009. I attended Wake Forest and Elon during Curry’s college career at Davidson, so I was able to watch him play in person four different times, three of which occurred in intimate small college settings. At the same time, I am also somewhat of a Lebron hater, as I find both his attitude on and off the court as well as his style of play to be bad for the game. That is why I found the Warriors’ redemption championship of 2017 to be particularly satisfying despite the lack of drama it produced. 9. South Carolina Governor’s School for Science and Mathematics win school’s first-ever state championship in Boys’ Cross Country (November 4, 2017)- I always have one or two random moments on this list that have immense personal significance but little to no actual impact on the national sports scene. This year’s South Carolina Class A Boys’ Cross Country Championship certainly falls into that category, as my high school alma mater, a tiny, public charter school in Hartsville, SC claimed its first-ever state title in any sport. All sports at the SCGSSM face an uphill battle given that the entire student body is composed of roughly 130 math and science whiz kids, most of which have little to no interest in any kind of athletics. Also, as you can imagine, the administration and staff have little to no interest in promoting the athletic department, as the school’s sole focus is the promotion of academic endeavors. For any team, regardless of the sport, to overcome these obstacles and become state champions is truly remarkable. 10. New Hanover High School wins first football state championship since 1951 (December 9, 2017)– Just like my # 9 moment, the final moment on this list is a high school state championship that possesses a great amount of personal significance. My current home high school, New Hanover High located in Wilmington, NC, just finished up an impressive march to its first state-championship since 1951. Interestingly enough, the backup quarterback on that ’51 squad was future NFL Hall of Famer Sonny Jurgensen. I am not sure this year’s Wildcat squad possesses anybody with that kind of NFL potential, but nevertheless, this group of speedsters used a high-powered fun and gun spread offense to outscore their opposition all season long. I attended two of their games this year, including a thrilling victory over Eastern Guilford in the state semifinals where New Hanover twice stopped their opponents from first and goal inside the one yard line in the fourth quarter. 3. UNCW loses first round heartbreaker to Virginia then loses head coach the following day (March 16-17, 2017)- This is really two different moments however the two are so intimated correlated proximity and subject matter that I am combining them as one. The only local sports team in my hometown of Wilmington, NC of any national significance is the UNCW basketball team who made the NCAA tournament for the second straight year in 2017 under coach Kevin Keatts. While their 2017 Colonial Athletic Association Championship was an honorable mention for best sports moments of the year, their season came to a crashing halt the following Thursday when UNCW opened the first round by blowing a double-digit lead against Virginia in a game they could have and probably should have won. This loss set the tone for a first round that lacked the usual upsets that make the beginning of the NCAA Tournament so special. However, it wasn’t just the game the Seahawks lost that day, Keatts immediately took the head coaching position at NC State after the game and took with him his entire staff as well as star forward C.J. Bryce and the most talented members of UNCW’s 2017 recruiting class. The aftermath of this move can still be felt in Wilmington as the current Seahawk squad as stumbled to a 2-9 start under new coach C.B. McGrath. 4. South Carolina basketball loses heartbreaker to Gonzaga in NCAA Final Four (April 1, 2017)- The saddest aspect of March Madness Cinderella Stores are that they almost always end with a loss. Butler, VCU, Florida Gulf Coast, Valpo, Chattanooga, Loyola Marymount, Wichita State, George Mason, and Gonzaga all had captivating tourney runs that ended short of a national championship. In 2017, my South Carolina Gamecocks joined that list by losing a 77-73 heartbreaker to the Zags. A game so heartbreaking it even brought the toughest coach in college basketball, Frank Martin, to tears (see below). One hell of a run, but as always midnight strikes on Cinderella. 5. Wake Forest basketball loses NCAA Opening Round game to Kansas State (March 14, 2017)- My expectations were extremely low going into last season for my alma mater, Wake Forest, so I really should be happy that my Deacons made the field of 68 at all. However, the defensive meltdown this team had in their loss to opening round loss to K-State certainly left a bitter taste in my mouth. The Deacons refused to make any adjustments as K-State scored in seemingly every second half possession against Wake’s bad man-to-man defense. As good as John Collins was in 2017, this squad was capable of achieving more than they ultimately did. 6. North Carolina acquitted of academic fraud (October 16, 2017)- In what ended up being the worst end to an investigation in the sports world since the O.J. verdict, the NCAA found a loophole in their bylaws to let their beloved Tar Heels off scot-free. If this was any other program without the prominence, money, and influence of North Carolina, then they would have faced major NCAA sanctions. This was an absolute travesty and there is really no other way to spin it. 7. College Football Rivalry Saturday (November 25, 2017)- The Saturday after Thanksgiving is my favorite college football Saturday of the year and definitely one of my top 10 biggest sports days of the year as well. Unfortunately, in 2017, everything that could go wrong for me on rivalry Saturday did. 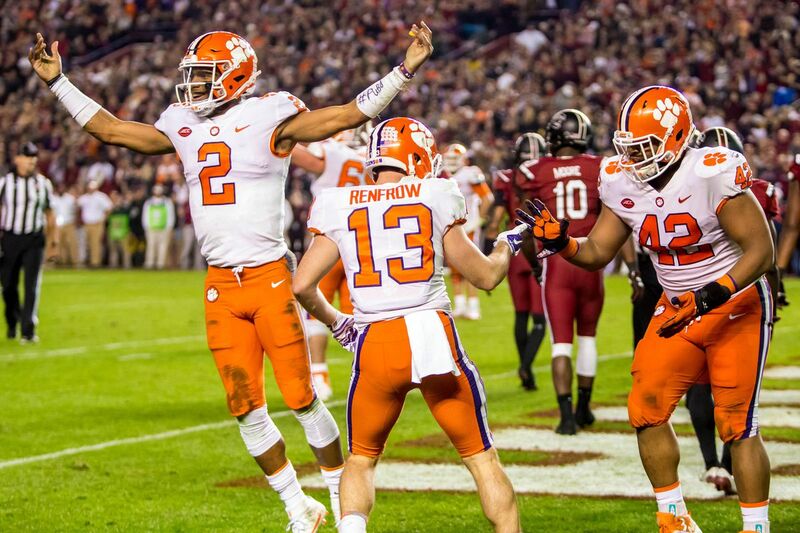 All of my teams, Wake Forest, Kentucky, South Carolina, Alabama, and Washington State, all lost meaningful games, and the teams I hate the most Ohio State, Auburn, Clemson, Louisville, and Georgia all came away victorious. It was quite literally a parlay of disappointment that continued throughout the entire. 8. U.S. Men’s Soccer fails to qualify for 2018 World Cup (October 20, 2017)- I am admittedly not a huge soccer fan but given the United States’ recent world cup success it was stunning to see this team fail to qualify for the world cup in 2018. All the United States needed to do was to tie a Trinidad and Tobago, squad that had lost eight of its last nine games, and they would be assured a place in next year’s event. Instead, the U.S. lost 2-1, opening the door for Costa Rica and Panama to slip through qualifying. 9. Wake Forest basketball loses season opener to Georgia Southern (November 10, 2017)– With the departure of John Collins and Dinos Mitoglou, I think realistic Wake Forest fans saw that this would be somewhat of a rebuilding year. No one, however, thought this team would open the season 0-3 and then 1-4 without playing a single game against a major conference opponent. 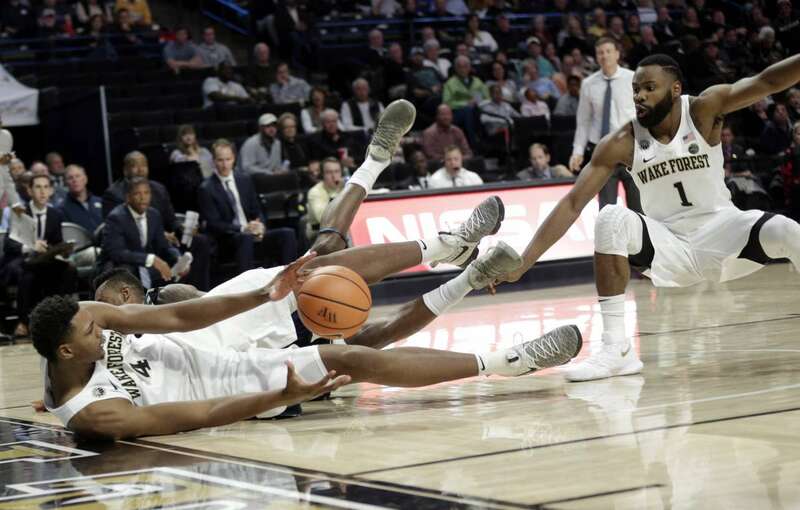 The disappointment began on the first night of the season when Wake blew a 14 point second half lead to lose to Georgia Southern 85-83. 10. Florida baseball beats Wake Forest en route to College Baseball Championship (June 27, 2017)- The Gators were without a doubt the best team in this year’s baseball tournament but the one team that had them on the ropes was my Wake Forest squad after they took the second game of their Super Regionals with an extra innings walk off homer. 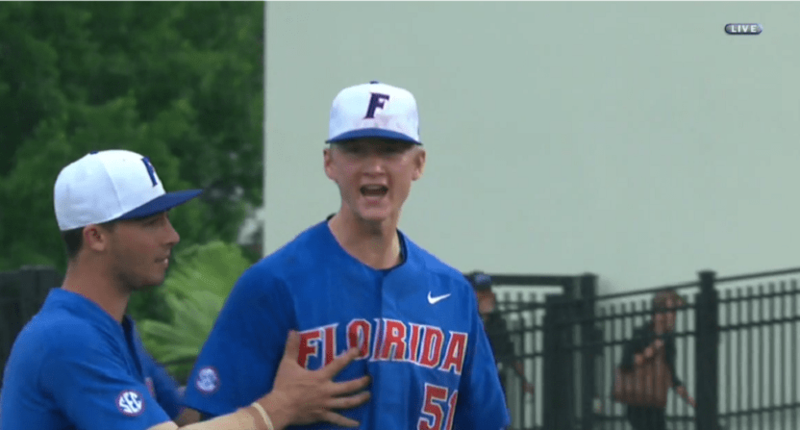 Unfortunately, the most obnoxious player in college baseball, Gators’ pitcher Brady Singer, threw some good baseball before throwing an epic temper tantrum as the Gators went on to take the Super Regional en route to their national title.